Juneau – On Monday, Speaker of the House Rep. Bryce Edgmon (D-Dillingham) appointed House members to negotiate a compromise on legislation to reform Alaska’s unsustainable oil tax credit system that passed both the House and Senate. House Resources Committee Co-chairs Rep. Geran Tarr (D-Anchorage) and Rep. Andy Josephson (D-Anchorage) will represent the House Majority on the conference committee. The House Minority will be represented by Rep. Dave Talerico (R-Healy). The State Senate is expected to appoint their members to the conference committee on Wednesday. 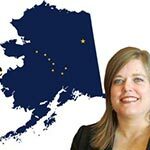 Juneau – The Alaska Legislature passed legislation this week that includes a measure put forward by Representative Geran Tarr (D-Anchorage) mandating a statewide audit of sexual assault examination kits. The House added the measure to Senate Bill 55, which would put in place technical changes and clarifications to Alaska’s criminal statutes as part of the ongoing effort at criminal justice reform. Juneau – Today, the Alaska House of Representatives formally censured Representative David Eastman (R-Wasilla) for offensive, insulting, and unsubstantiated statements that undermine the dignity of the House. 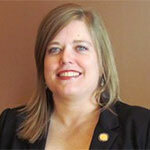 The motion to censure Rep. Eastman was made by Rep. Ivy Spohnholz (D-Anchorage). Juneau – The Alaska House of Representatives passed legislation today to honor Hmong and Laotian soldiers who fought as allies to the United States during the Vietnam War. House Bill 125, sponsored by Representative Geran Tarr (D-Anchorage), authorizes a special designation for Hmong and Laotian veterans on state-issued IDs and driver’s licenses.